All World famous brands under one roof. We have all big Name and market leaders in our court. almost every well known and reputed brands like Geminy, Weltex, Kaveri, Navbharat, Usha, Singer, Meritt, Answer, QMach, Juki, jack, Keytone, Revo, Friend, Panther and all others. We have 10 Brands with ISI marked and 18 Brand with Regd. Trademark. a full Range of Brands and Quality. we Have our own goodwill to deliver original brand and product to our dealers and customers. 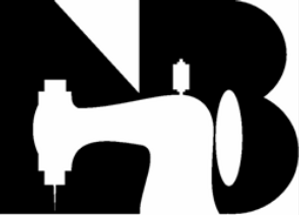 Geminy is Biggest and Leading Brand in Indian Sewing machines Industries. We are Only Distributor of Geminy in whole Maharashtra State.it comes with ISI Mark. Navbharat is our Premium Brand. its known for Perfection. its known for Quality. its known for Colour and Finish. just amazing. We have The ANSWER of every stitching related query. 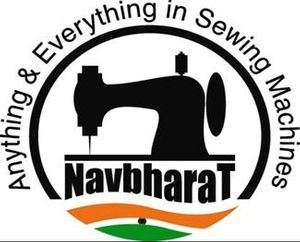 Answer is the New Registered Brand of Navbharat Sewing Machine. India;s Best Quality and Technology Comes with this Brand. Everything is perfect and suitable for domestic and Industrial users. It Comes with ISI Mark. currently we are Setting Dealers for this Brand. QMach is made from Quality Mechanism. its also called Quality Machines. A New Registered Brand of our Sister Firm Qutbi Sales Corporation.mainly for Industrial and semi Industrial Requirements. currently we are Setting Dealers for this Brand. NB brand is A symbol of Quality. Comes with ISI Mark. all domestic and Industrial Models available. Weltex is Fastest Growing Brand of India. its known for its Colour, finishing and amazing Quality. Bold and Beautiful Kaveri brand comes with Great Colours and finish with Best Quality and fitting. Modi is ISI Marked brand. all models available with range of colours and choice. Usha is oldest brand of India. ISI marked Machines with Range of Models and Choice. Singer is an international brand. ISI marked machine with Various models and colours. Revo is the number one brand in industrial and Packaging Sewing machine Industries. its Bag Closing and Bag stitching Machines are very much popular in all over world. Juki is Number one brand in not only in Japan but also all over world. its known from its quality. all Industrial and semi industrial garments machines are available. Jack is from China's No.1 Economical and Budget Brand for Garments Sewing Machines. all models available. Keytone is Technically perfect Garment Sewing Machines. All Industrial and semi Industrial Models are available. Sonex is the best option for any Garment Related Job work. more economical more technical.